The rooms provided by the Hotel Raj Niwas are very comfortable to live in and the prices at which they are offered are quite reasonable. A lot of free space is provided within the room and all the rooms are well-furnished. The intelligent use of artificial lights in both the room makes the room well-lit. There is a lot of wood work involved in the interior decor of the room. 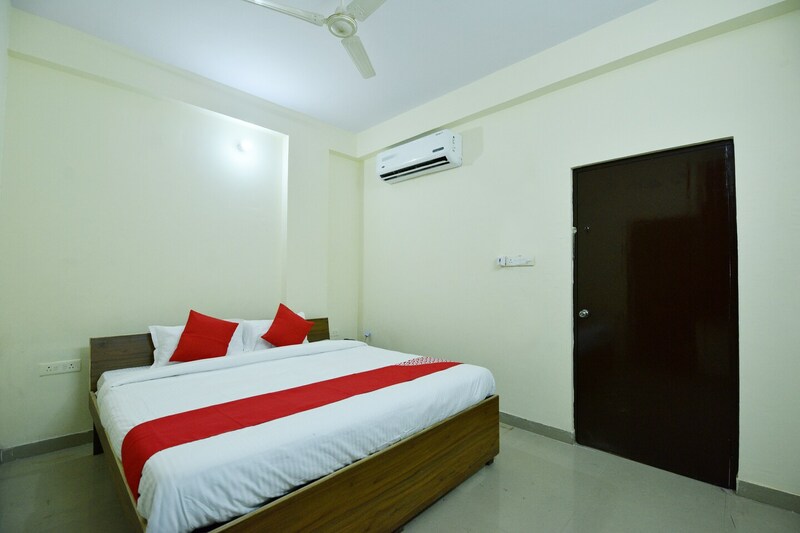 The additional features provided by the hotel are free Wi-Fi, CCTV cameras, an uninterrupted power backup source, and parking provisions. The front desk service is located near the entrance and is handled by experienced staff who cater to the guests and help them have a good stay experience.